AOMEI Partition Assistant is a free all-in-one partition and hard disk management solution for Windows that allows you to manage and perform various complicated operations on your hard disk partitions with ease through its simple, intuitive interface and step by step wizards. It comes with the support for all file systems: NTFS/FAT32/FAT16/FAT12/exFAT/ReFS/Ext2/Ext3/Ext4/Bitlocker and more. With its comprehensive features, you can resize/move, split, merge, recover, expand, create, delete, align, copy partitions, migrate OS to SSD, convert NTFS to FAT32 partition or the other way around, clone disk, convert GPT to MBR or MBR to GPT, wipe hard drive/partition, disk surface test, repartition hard drive without losing data. 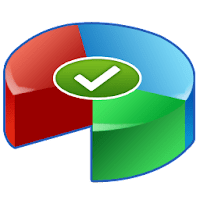 Disclaimer: Direct downloads for the lastest version of AOMEI Partition Assistant 7.5 are provided by the official software's author, we can't guarantee safety, availability or download speed. Moreover, we don't and we won't provide any pirated/illegal versions or tools. We recommend you to avoid it as these methods can harm your device. If you like the software, buy it to support the developers. (We provide software discounts for many worldwide brands).